This will be graded from 9-1 and will comprise of two exams, 1 hour 45 minutes in length.The students cover a wide range of History and will help students understand the world we live in. History will help develop key skills such as change and continuity, cause and effect, source analysis and evaluation, making complex judgements and reasoning. 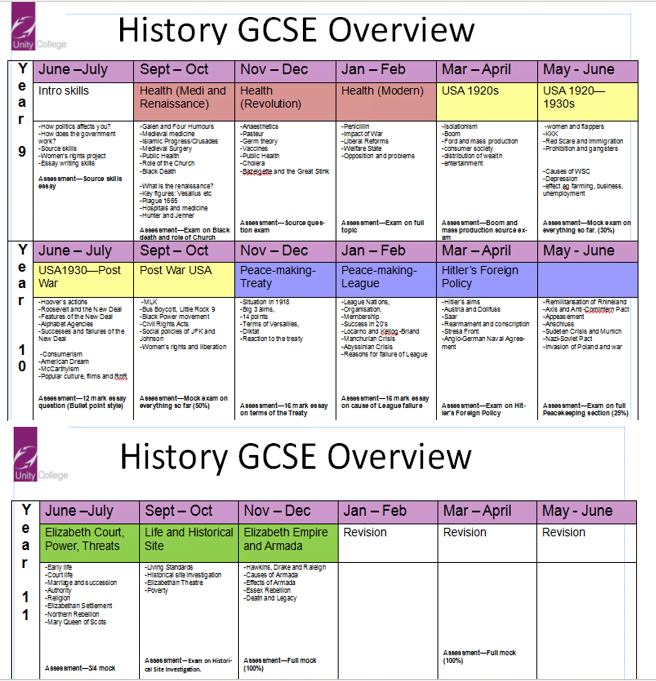 Students should be aware that at GCSE level, History requires a high level of commitment and will involve independent study each week in order to consolidate and deepen knowledge. Any parents or students who would like more information about the above course should contact Mr Hargraves.